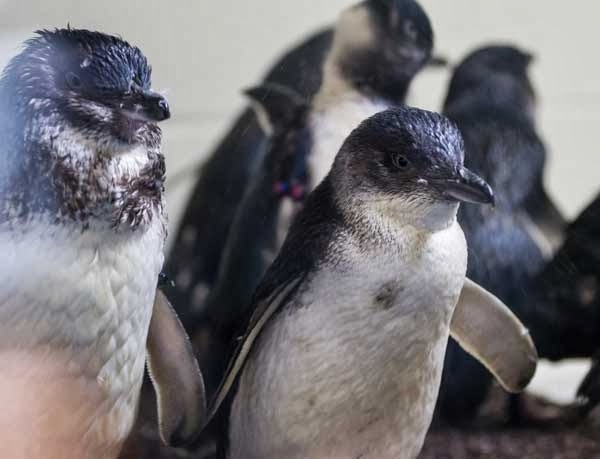 Earlier this year, we shared the happy news that the little blue penguin colony just about doubled in size. 14 little blues arrived from Australia last winter and went through routine quarantine periods, just to be sure they weren't introducing foreign bugs. 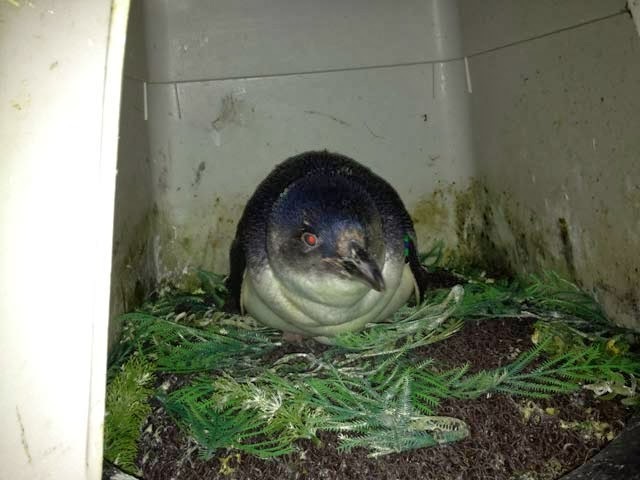 Then in March the birds met our colony of 15 little blue penguins! And that's when the sparks started to fly. while the partner feeds or takes a swim. In all seriousness, the penguin biologists made careful pairings to encourage breeding. The Aquarium is part of a Species Survival Plan for this species, which means we work with other zoos and aquariums to raise genetically diverse and healthy birds. By and by eggs were laid and the parents set about incubating the eggs. Hey, it's a dirty job but someone's got to do it! 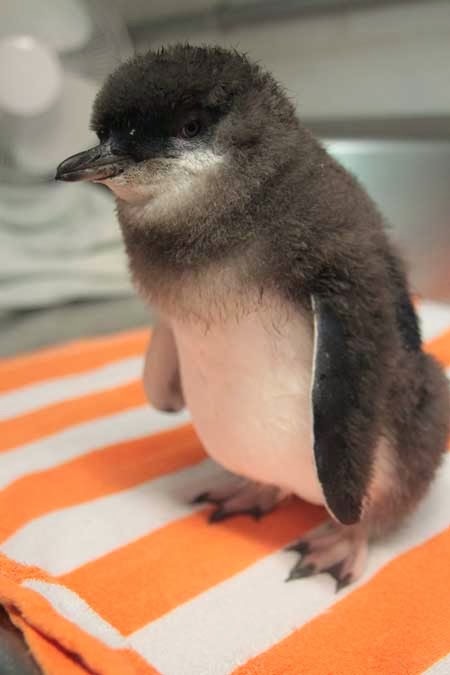 Lots of people think the full-grown little blue penguins are babies. Of course, they're not. 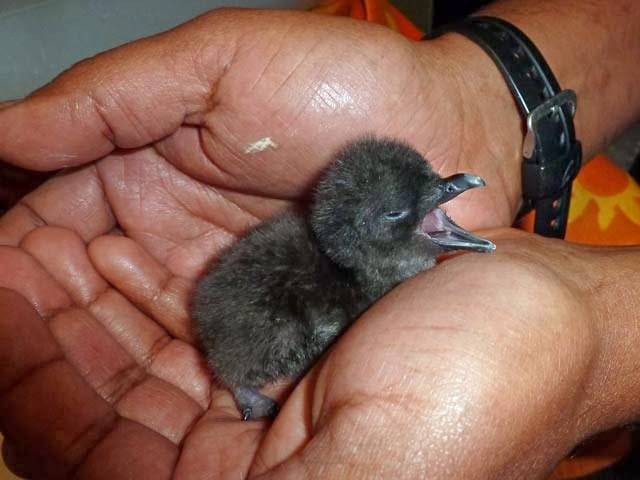 But this downy chick is one of the little blue penguin chicks born here this year! And then...pip, pip... the babies hatched! And that's when the parents started the big job of feeding their youngsters. After a month or so, they weighed nearly as much as their parents at about 2 to 3 pounds. It took around three months for our pair of chicks to grow up and lose their downy feather. That's when they joined the rest of the colony in the Level 1 exhibit. Even though Granite and Thigaraa are still less than a year old, they look just like all the other birds in the exhibit. Come say hi! 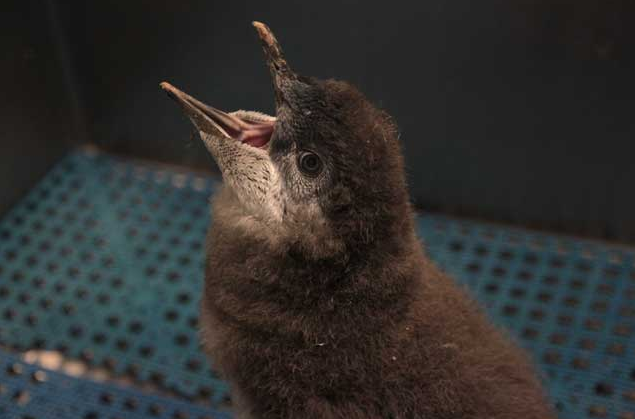 Little blue penguins are part of our Animal Sponsorship program! You can support important breeding programs like this by sponsoring these endearing birds, or another animal at the Aquarium. Not only will you be paying for food and medical care, you'll also receive more information about the species. that baby penguin is so adoribal!!!!!!!!!!!!!!!!! !